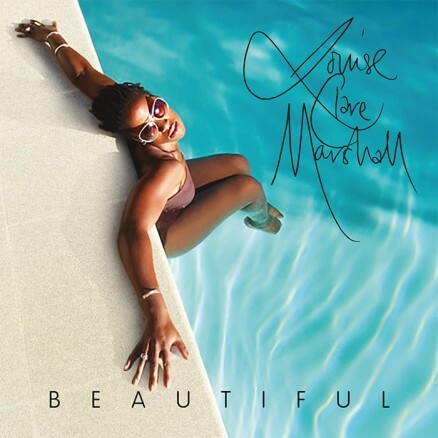 Once again, another 14 tracks of flavours that Louise Clare Marshall has encaptured on her 2nd album, from R&B to Jazz, elements of Stevie to Sly, Randy Crawford to Manhattan Transfer, but it’s still ‘Marshall’! If you loved the 1st album, you won’t be disappointed as Louise gives full praise to all musical genres, ‘It’s a little bit ridiculous’ opening song creates the journey that no-one knows where it will lead them. Lots of daring ideas that are perfectly executed, especially a new twist to The Bee Gees classic, ‘Chain Reaction’, 2 up-tempo tunes showing her mainstream Soul/Pop skills, mixed in with a collection of gems that shows her soft side, written especially for her daughter Alicia, ‘First thing in the morning’ & ‘You’re my Princess’. The Album name, Beautiful is dedicated to Louise’s husband Danny, who also plays sterlingly in both the brass ensemble and solo performances…. Great! Some songs lyrics are once again collaborated with CJ Ranger. ‘Valentine Moon’, a track written by Jools Holland and Sam Brown, played by The Rhythm and Blues Orchestra, adds the icing to this varied album, finally the album ends with a young Marshall showing her true northern roots..
You can ALSO purchase the new album ‘Beautiful’ AND Louise’s 1st album ‘Wait for You’ in a bundle for £15.00 + P&P, £2.00 = £17.00. Check out the great review from Review Graveyard…… Very pleased.